Take your design game to the next level with a bold, thick and expressive font that truly looks hand painted. The Fest uses authentic looking fonts and is sure to grab the attention of customers and designers alike. 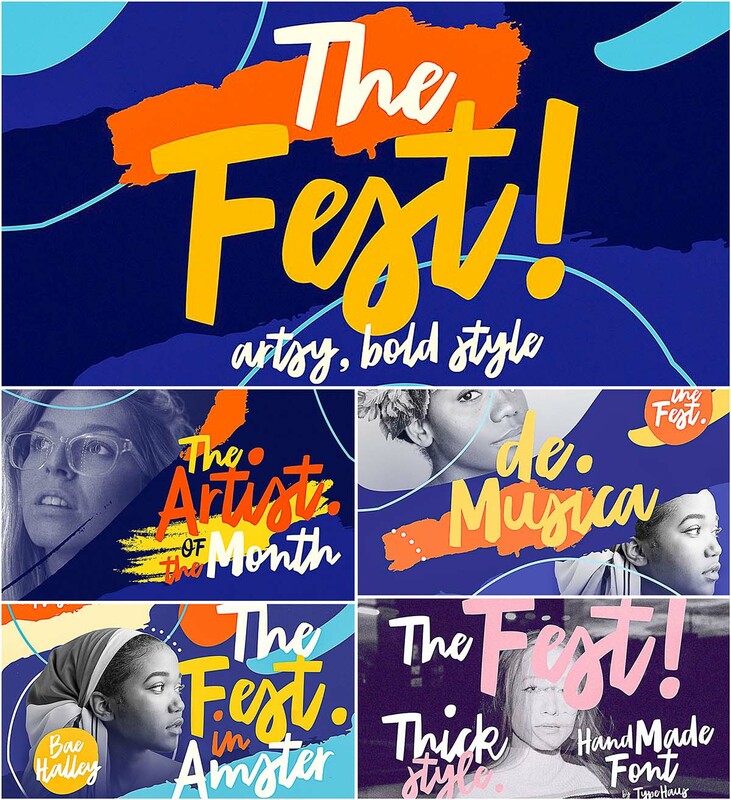 Tags: artsy, bold font, book, brush font, festival, mural, poster font, vibrant.